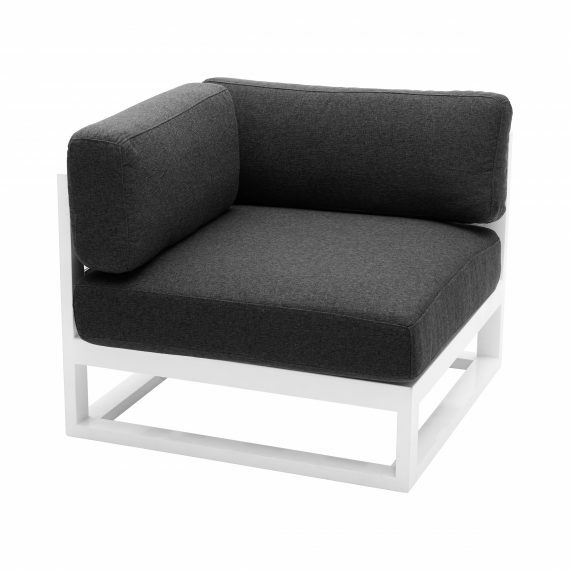 A modern white sofa lounge that is part of our Cube Modular range. This piece is a connecting corner piece with charcoal cushions. Our Cube Modular range also has modular sofas with both right- , mid- and left-hand side pieces that can be added together to create a continuous lounging area. Armchairs and coffee tables are also available in this range.